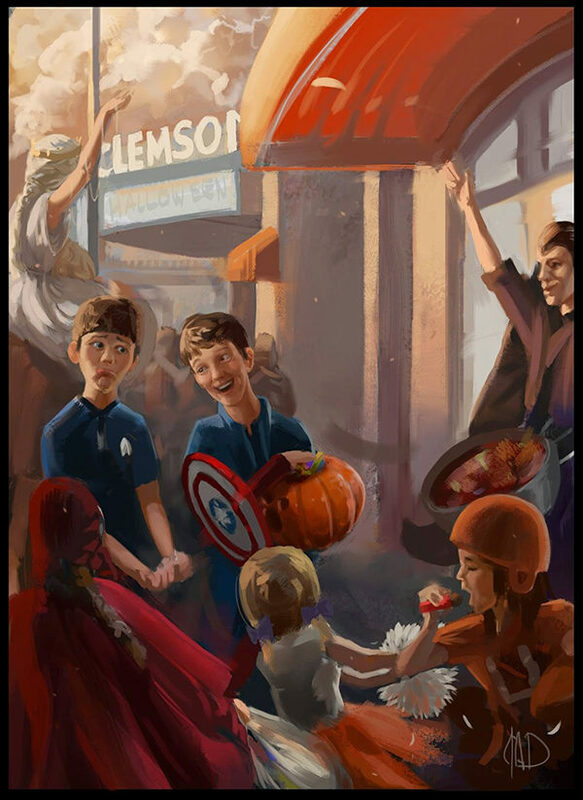 Here is a Halloween illustration I was commissioned to do for the town of Clemson, SC, last year. Every year the kids of the city dress up and go trick-or-treating downtown, and all the local businesses keep a bowl of treats to hand out to them. It’s a nice way for everyone to go and have some perfectly safe fun during the season.